Most people would gladly, and rightly, watch Isabelle Huppert act in just about anything, such is her peerless talent and effortless screen presence. 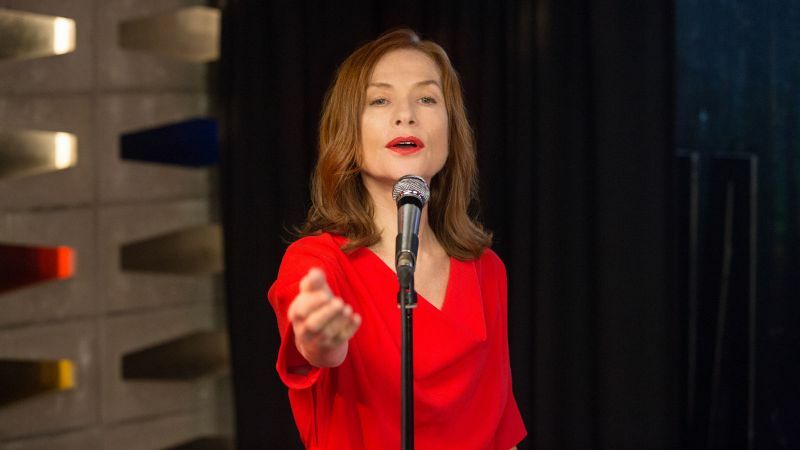 In Belgian director Bavo Defurne's Souvenir – one of two films the great French actress appears in at LFF this year, alongside Elle – she plays a former nearly-winner of the Eurovision Song Contest. Working in a pâté factory, purposefully seeking seclusion from minor stardom some three decades previously, she spends all day every day garnishing this processed European delicacy with a sprinkle of cranberries and a bay leaf. 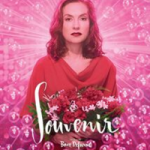 Such monotonous work is not worthy of Lilliane, the one-time singer known as "Laura" in her short lived heyday, and sadly neither is the material at hand in Souvenir for Huppert. It is a vacuous, featherlight romantic comedy that strives for the likes of The Graduate that will see the now 63-year old actress fall for a wannabe boxer in his early twenties. Jean (played by Kévin Azaïs), in training for a big fight (which he will go on to lose), comes to work at the factory and instantly recognises the woman who used to be "like Abba, but less famous" as his dad's favourite singer and teenage crush. There's no doubting Huppert's beauty and grace but after little more than a ride home on his moped, the son promptly fulfils the father's fantasy and falls desperately in lust, then love altogether too quickly. His feelings are reciprocated and Lilliane is persuaded to come out of retirement for a one-off performance to raise funds for the boxing club. This leads inexorably to a return to the big stage and another shoot at the European title. There is not enough to the empty, lifeless script to suggest that Defurne and co-writers Jacques Boon and Yves Verbraeken are wanting to say anything about the nature of stardom or even anything too profound about love itself. A falling out between these most unlikely of lovers over Lilliane's ex-husband's involvement in judging the qualifying rounds of the big competition is played out very poorly and the staple melodramatic clichés come thick and fast as we move to a thuddingly predictable finale. The ditty that catapults "Laura" back to fame is filled with the refrain "Je dis oui." Ironically, Souvenir is not one to remember and "Je dis non."